Peter Bourjos (2007) went 2-3 at the plate in the Angels 7-0 loss to the Red Sox. 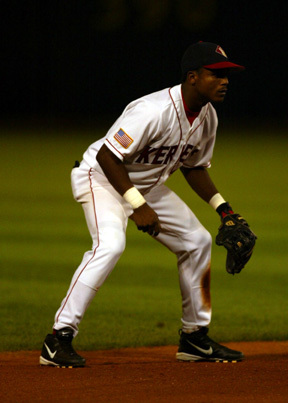 Erick Aybar (2003), Alberto Callaspo (2003) and Jeff Mathis each went 1-4 in the game. Howard Kendrick (2004) and Mark Trumbo (2006-07) were 0-4 and Bobby Wilson (2004) walked in his only plate appearance. Rich Thompson (2003) struck out four in two innings of scoreless relief. John Lackey (2000) struck out six in eight scoreless innings to earn the win in the Red Sox 7-0 victory over the Angels. Mike Napoli (2001-02) hit his fifth HR of the season in the Rangers 8-7 win over the Royals. Napoli finished the game 1-3 with a walk, two RBI and scored a pair of runs. Sean Rodriguez (2004-05) went 1-2 with a double and a walk in the Rays 2-0 win over the Tigers. 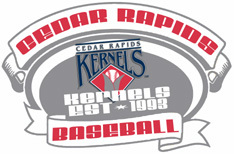 Casey Kotchman (2002) was 0-1 at the plate in the game. Alexi Casilla (2004-05) was 2-3 and scored a run in the Twins 4-3 win over the Indians. Mark Trumbo (2006-07) and Peter Bourjos (2007) each homered to lead the Angels to a 15-4 win over the Rangers. Bourjos finished the game 4-5 with 3 RBI, a double and scored three runs. Trumbo was 3-5 with 4 RBI, a double and scored a pair of runs. Alberto Callaspo (2003) went 2-3 with a pair of walks, a RBI and scored four runs. 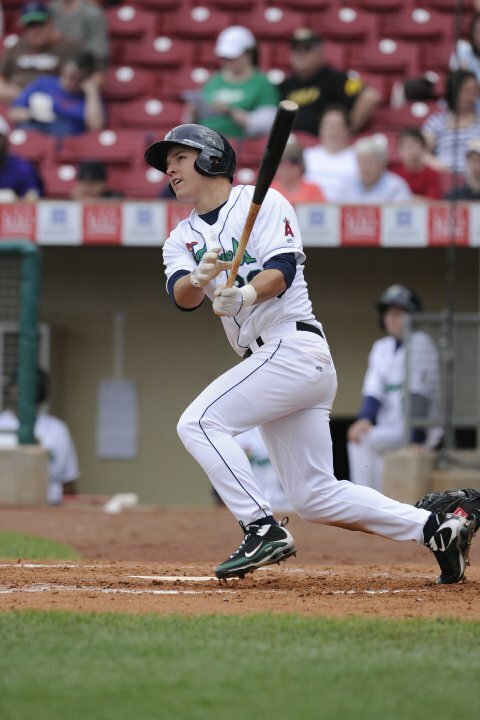 Hank Conger (2007) was 2-3 with two RBI, a walk and scored a pair of runs. Howard Kendrick (2004) went 0-6, Bobby Wilson 92004) was 0-1 and Brandon Wood (2004) went 0-1 in the win. Mason Tobin (2008) allowed three runs in a 1/3 of an inning of work in the Rangers 15-4 loss to the Angels. Sean Rodriguez (2004-05) went 2-3 with a double, a triple and a RBI in the Rays 2-1 win over the White Sox. Casey Kotchman (2002) was 2-3 in the win. Alexi Casilla (2004-05) went 0-3 with a walk in the Twins 11-0 loss to the Orioles. John Lackey (2000) took the loss in the Red Sox 5-0 loss to the Athletics. Lackey struck out three in six innings of work while allowing one run. 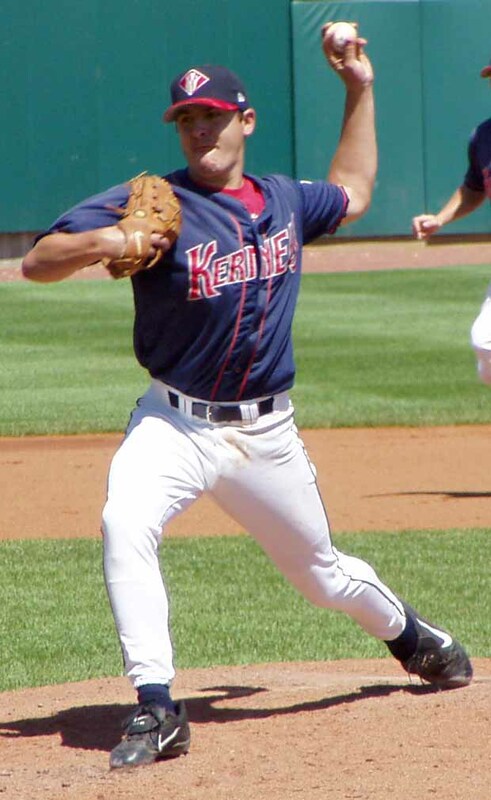 David Herndon (2007) allowed three runs without retiring a batter in the Phillies 9-0 loss to the Brewers. Peter Bourjos (2007) went 1-4 with a two-run triple to support a strong pitchign performance by Jered Weaver and lead the Angels to a 3-1 win over the Blue Jays. Alberto Callaspo (2003) was 1-3 with a walk and scored a run, Mark Trumbo (2006-07) went 1-4 and scored a run, Howard Kendrick (2004) was 0-2 with a walk and scored a run, Brandon Wood (2004) was 1-3 and Bobby Wilson (2004) went 0-3 in the win. Sean Rodriguez (2004-05) was 0-3 in the Rays 6-1 loss to the White Sox. 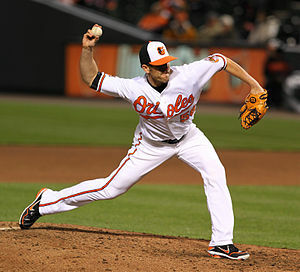 Darren O’Day (2006) worked 2/3 of an inning of scoreless relief for his second hold as the Rangers defeated the Orioles 3-0. Alexi Casilla (2004-05) went 0-2 with a sacrifice in the Twins 5-3 loss to the Athletics. Joe Saunders (2002) allowed four earned runs in 3 innings of work taking a no decision in the Diamondbacks 10-8 win over the Reds. 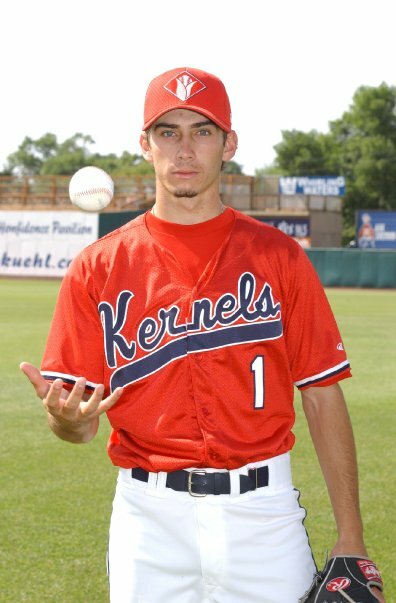 Tyler Chatwood posted a 8-7 mark with a 4.02 ERA for the 2009 Cedar Rapids Kernels who finished 78-60 under manager Bill Mosiello. Chatwood struckout 105 batters in 116 1/3 innings of work.